When working with eXo Platform, it is important not to modify the source code. This will ensure compatibility with future upgrades, and support will be simplified. To customize your site, you need to create an extension project by providing your own artifacts as a set of wars/jars/ears. This chapter will show you how to customize your site using the extension mechanism provided by eXo Platform. Defining structure of a site Required knowledge of a site’s structure, including portal.xml, pages.xml and navigation.xml. Creating a new site Steps to create a new site, how to define a site as default and to create custom templates for it. Managing eXo Platform look and feel All aspects and detailed steps to create a custom look and feel for a site. Upload Component How to confugure the upload service. The structure of a site is mainly defined into 3 files: portal.xml, pages.xml and navigation.xml. You can create multiple pages within a single site. 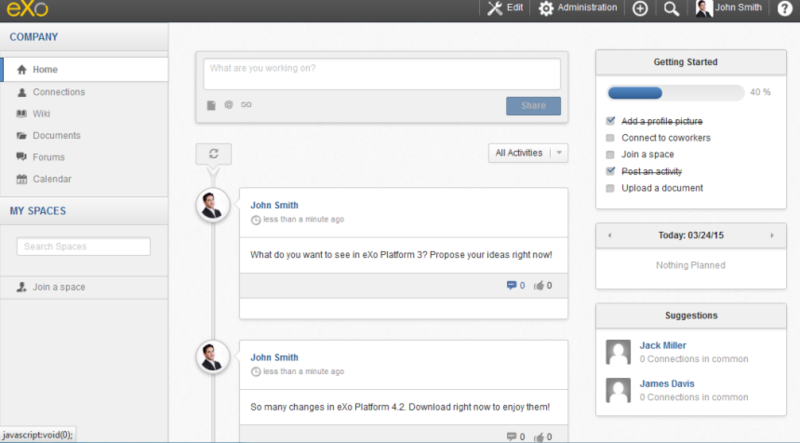 Understanding the “Intranet” site of eXo Platform is a good approach to the site structure. The configuration of the “Intranet” site can be found in the $PLATFORM_TOMCAT_HOME/webapps/acme-intranet.war directory. Properties which define site name, default locale, access and edit permissions, and some basic configurations (session alive, show portlet information) of the “Intranet” site. Layout which defines layout container, banner, footer, menu and breadcrumbs portlets displayed in all pages. Also, <page-body> is a flag which specifies the position of pages’ portlets. The move-apps-permissions and move-containers-permissions tags define which users have permissions to move applications and containers on this layout. If these permissions are not set explicitly, they would default to Everyone. The navigation.xml file defines all navigation nodes of a site. The syntax is simply using the nested node tags. Each node refers to a page defined in the pages.xml file that will be explained later. Node that defines URI, name, label and page reference of the “Intranet” homepage. A node navigation might contain sub-nodes. For the top nodes, the URI and the navigation node name must have the same value. For sub-nodes, the URI is composed like <uri>connexions/all-people</uri> where ‘connections’ is the name of the parent node, and ‘all-people’ is the name of node (<name>all-people</name>). When you configure the navigation.xml file, sometimes you need to set the node visibility. To configure the node visibility, simply put <visibility>type_of_visibility</visibility> as a child of the <node> tag. DISPLAYED: The node will be displayed. HIDDEN: The node is not visible in the navigation but can be accessed directly with its URL. SYSTEM: It is a system node which is visible to superusers. In particular, only superusers can change or delete this system node. TEMPORAL: The node is displayed in related time range. When the visibility of TEMPORAL node is configured, the start and end dates can be specified by using <startpublicationdate> and <endpublicationdate>. The pages.xml defines the layout and portlets of specific pages. A page defined in pages.xml will declare name, title, access and edit permissions, move applications and containers (optional). Also, the <portlet-application> is used to declare portlets in a page. In this tutorial you create your own site using a custom-extension. The custom extension requires a jar and a war, so make sure you follow the link above to create and deploy the jar. Below are steps to create the war. Notice the webapp name is site-extension to configure it properly in the jar. The portal folder name indicates that the site is of portal type. The site1 folder name will attend in the URL of the created site. If you change it here, you need to change it everywhere in the later configuration. -  ``<locale>``: Defines the default language of your site. your site. Use comma to separate values. -  ``<edit-permission>``: Specifies which membership can edit your site. applications on your site. Use comma to separate values. move containers on your site. Use comma to separate values. `Show info bar by default <#ShowInfoBarByDefault>`__ for details. the <page-body>. You will write more complete layout later. Edit site1/pages.xml. In this example, only one page (homepage) is created. The page contains GettingStartedPortlet that is a built-in portlet. Deploy your extension, then test your site at http://mycompany.com:8080/portal/site1/. Note that the override value-param should be set to true. This will be explained in the next section. If this parameter is omitted, it is defaulted to false. After your site is created, its preferences persists in database. When you modify your extension and redeploy it, you need to set importMode to either merge or overwrite to make your extension update/override the persistent data; otherwise, the modification will not take effect. conserve Imports data when it does not exist, otherwise do nothing. insert Imports data when it does not exist, otherwise performs a strategy that adds new data only. merge Imports data when it does not exist, and updates data when it exists. When entering this URL in your browser: http://mycompany.com:8080/portal, you will be directed to a default site. Note that the <value-param> tags should be added right after the <init-params> opening tag. During the site creation, a drive with the same name as the site is also automatically created. However, you can decide if such a drive is automatically created or not by using two parameters named autoCreatedDrive, and targetDrives in the external component plugin named CreateLivePortalEventListener. If autoCreatedDrive=true, a drive will be automatically created during the portal creation regardless of targetDrives. In case autoCreatedDrive is not specified, then its default value is true. If autoCreatedDrive=false, only drives listed in targetDrives are created. In case targetDrives is not specified, no drives are created. Page container templates are Groovy ones that are used for (but not limited to) page decoration. You can re-use the built-in templates or write your own templates and package them in the site-extension. By declaring a template in pages.xml, you decorate the individual pages. By declaring a template in portal.xml, you make the site layout that impacts all the pages of the site. Localizing with resources How to localize with resources in your custom extension. Adding/Removing a language How to add or remove a language through the locale configuration file. Declaring servlet/filter How to declare the servlet/filter extension to get the current portal. Creating a custom search connector How to create a custom search connector to get data from an external resource, for example Wikipedia. Creating a page layout template How to create a page layout template that is used in Page Creation Wizard. Most of these capabilities can be done with some declarations in the gatein-resources.xml file of your extension. A list of dependencies on the modules required to work properly. The code packaged is usually expressed as a self-executing function. The product, which is an object produced by the module, is usually consumed by other modules. At runtime, the dependency system defines a graph of function to execute that makes the product of each module be injected in the other modules. It can be seen as a simple dependency injection system which can load modules in an asynchronous and parallel fashion providing parallel loading, namespacing and dependency management. The depends tag creates a dependency on the jquery module. The dependency is aliased as jQuery using the as tag to match the $ argument of the Highlight.js self-executing function. Refer here to check which jQuery versions are provided in eXo Platform. eXo Platform is capable of integrating native AMD (Asynchronous Module Definition) modules, and eXo Platform modules are currently translated into AMD modules. To further understand the AMD declaration, see the RequireJS documentation. The “module” name will be ignored and replaced with the declared module name. The module dependencies from “dependency1” to “dependencyN” have to be declared with the same name in gatein-resources.xml. This section shows you how to configure a jQuery plugin and how to use it in the jQueryPluginPortlet portlet. The dependency on jquery that allows using the jQuery object. The dependency on jquery-plugin that ensures the plugin to be loaded in the jquery dependency before it is injected in the portlet module. The built-in jQuery is currently declared as an AMD module. By default, jQuery will not be available in the window object of the browser. This section shows how to make jQuery available so you can write a code like in a plain script. // the '$' in window.$ is alias, you can make the other for yourself. 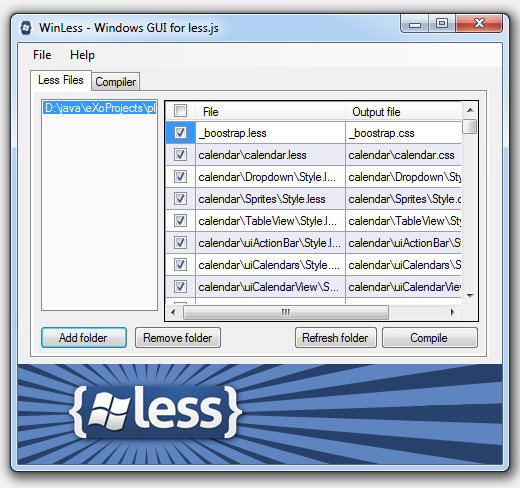 There are a few ways to implement the usage of a global jQuery plugin. However, make sure that the global jQuery is available before the global jQuery plugin is loaded. As you have seen before how you can scope a module to a portlet, the module will be loaded when the portlet is on a page using the PORTLET scope. Accordingly, use the PORTAL scrope instead of PORTLET. The main difference is that the loading of your plugin will be triggered on a specific site instead of a specific portlet. CommonJS defines its own module format, although it is not supported by eXo Platform. The adapter format can be used to adapt CommonJS modules to work well in eXo Platform. RequireJS supports the loader plugin which enables a module to be a plugin and uses the AMD system to load web resources in an efficient manner. When there are many templates or the template has a large size, embedding template in the page is not a good choice for front-end performance reason. It would be better to use Text.js to load the separate template files and inject them as dependencies. While declaring a native AMD module, the module dependency names must match with the AMD dependencies declared in the define function arguments. When there is a mismatch between a module declared in the native module and the module system of eXo Platform, the as tag can be used to rename the dependencies. In such a situation, you need to use the AMD module name of the module on which you need to depend, this case uses PORTLET/ModuleA. The prefix in uppercase is the module scope among SHARED, PORTLET and PORTAL. This minification may lead to conflicts and errors when the script is incompatible with eXo Platform minifier (Google Closure Compiler). We highly recommend to always enable scripts minification. If you have conflicts, take care to not deactivate minification in the whole platform. To use this new option, the new XSD 1.4 should be used. In this example there are 2 resources for English (_en) and French (_fr). The resource files can be .properties or .xml. It is necessary that the resources are located in WEB-INF/classes. Pay attention to the value locale.portal.sample. It is like a translation of the path of your resources (locale/portal/sample - with the language code and file extension name is eliminated). To add a new language, you need to copy the default locale-config.xml file from platform-extension/WEB-INF/conf/common/locales-config.xml to your custom-extension.war (with the same path) and add the corresponding language entry. 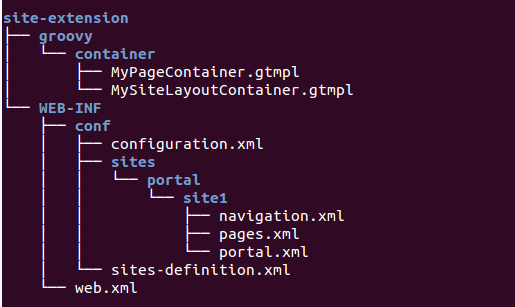 Add the following code to the locale-config.xml file under your extension project. Create a new resource bundle as sample_it.properties in the custom-extension.war!/WEB-INF/classes/locale/portal folder or in the src/main/resources/locale/portal folder of the source code if you are using Maven. This step is necessary because the Resource Bundle Service of the portal will find keys and values in the resource bundle of each corresponding language. To remove an existing language, you need to delete the relevant language code in the locale-config.xml file and all files containing the suffix name as the key of language. Find and remove the following code from the locale-config.xml file under your extension project. Continue removing all resource bundle files containing the suffix name as fr in all folders. It is recommended this step be done to delete unnecessary data in the application. To check if French is removed, hover your cursor over your username on the top navigation bar, then click Change Language. In the Interface Language Settings window that appears, French is no longer listed. If you ship servlets or filters as part of your portal extension, and these servlets/filters need to access specific resources of a portal during the process of the servlets or filters request, make sure that these servlets/filters are associated with the current portal container. The proper way to do that is making your servlet or filter extend the org.exoplatform.container.web.AbstractHttpServlet or org.exoplatform.container.web.AbstractFilter class respectively. Both AbstractHttpServlet and AbstractFilter have the method named getContainer(), which returns the current PortalContainer. Add the dependency to pom.xml of your extension project. Register the servlet/filter to web.xml of your extension. PortalContainer, but also set the current thread’s context ClassLoader to servlets or filters. The ClassLoader looks for resources in associated web applications in the order specified by the dependencies configuration. 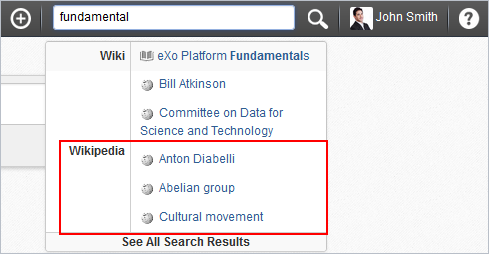 Unified Search has been introduced in eXo Platform 4 that greatly improves search capabilities. All resources of the whole site (content, files, wiki pages, and more) can now be easily found from a single and centralized location. Besides these out-of-the-box capabilities, a new API allows creating custom search connectors to extend the search scope and enrich results. This section explains how to implement and configure the search connector to fetch data from an external resource, for example Wikipedia. This search connector will retrieve data indexed by ElasticSearch - highly powerful and easy to use the search engine. You can decide what your search connector returns (data indexed by another search engine, data from a database and other custom data stored in eXo, and more). ElasticSearch has no indexed data, so you need to feed it. For this purpose, you will use the Wikipedia River plugin. (River is an ElasticSearch component which feeds ElasticSearch with data to index). The Wikipedia River plugin simply feeds ElasticSearch with Wikipedia pages. This ensures that the Wikipedia River plugin is correctly installed: loaded [river-wikipedia]. Fetching data from Wikipedia takes a while, depending on your connection, so don’t be panic. A lot of data is now being indexed by ElasticSearch. You can check this by executing a search with curl -XGET 'http://localhost:9200/_search?q=test'. The Wikipedia River will index a lot of data. For testing, you should stop the river after a few minutes to avoid filling your entire disk space. This can be done by deleting the river with curl -XDELETE localhost:9200/_river/my_river. Add the class in your jar. enable: turns on/off the search connector by default. If it is false, the Wikipedia contents will be excluded from the search scope when testing. In case the property is not explicitly set, the search connector will be turned on automatically. searchType: defines a name for categorizing the search information. displayName: defines a name for displaying the search result category. Requests and responses are full JSON. You can find more details about ElasticSearch query syntax here. The important point about the search connector is that each result has to be a SearchResult object returned in a collection. Deploy your jar (which contains the SearchConnector class and the XML configuration file) in the libs of the application server (/lib of Tomcat for example), then start eXo Platform. You can see the code sources here <https://github.com/thomasdelhomenie/exo-elasticsearch-sample-connector> , as a Maven project. In eXo Platform, page is a set of portlets and gadgets. The portlets and gadgets can be arranged in columns, rows and tabs. 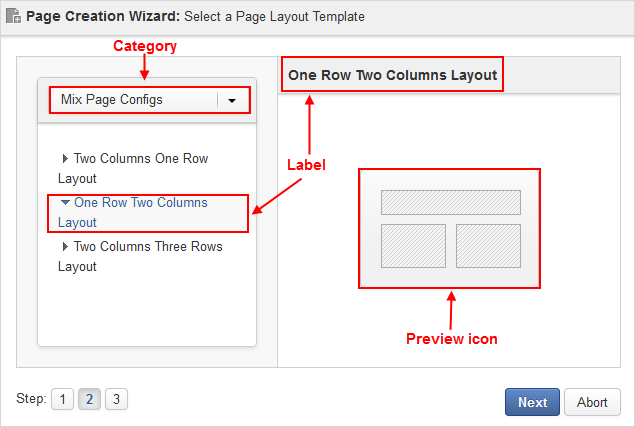 A page layout template is a layout sample that is used in Page Creation Wizard. Create your own page layout template. Localize the label with your language resources. Customize the preview icon of your template. UIContainer (built-in in portal.war) is the smallest container that should not contain other containers. They will be aligned in row if you do not put them in any parent container. To align them in column, put them in a UITableColumnContainer. To add a tab to the page, use UITabContainer. See more samples in portal.war!/WEB-INF/conf/portal/template/pages. This code adds a category named “customPageConfigs” and a template named “CustomLayout”. The localization is explained in Localizing with resources. The locale.portal.webui resource name is configured in portal.war and you must not change its path. ii. For simplification, you can copy the image named ItemSelector.gif from eXoResources.war!/skin/DefaultSkin/webui/component/UISelector/UIItemSelector/background. Read more about the portal skinning technique in GateIn Reference. 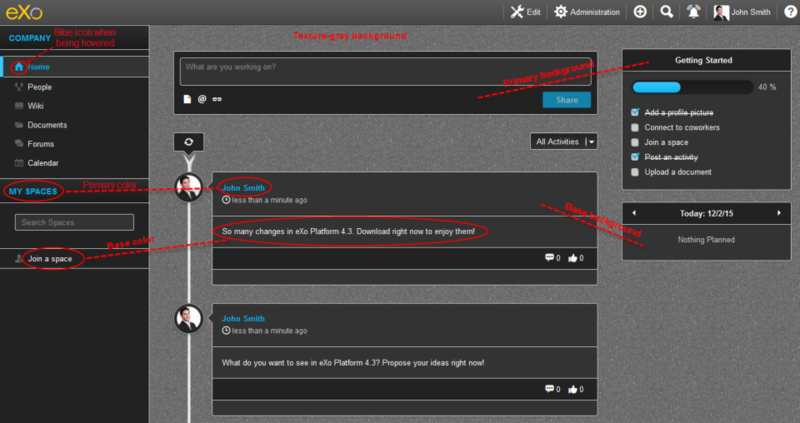 This section will help you to learn how to customize the look and feel of eXo Platform. A skin is a set of CSS and images files. eXo Platform comes with a default skin called Default, and another one, more modern, only available in the Enterprise Edition, called Enterprise skin. If these skins do not fit your needs, eXo Platform allows you to create your own skin. You may also want to only make some changes to an existing skin by adding or overriding style for custom portlets, native portlets, or the whole portal. This can be done without creating a new skin. The main difference between creating a new skin and customizing an existing one is that when creating a new skin, the Default skin (and optionally other skins) is still available and can be used. Therefore a site could use the new skin and another site could still use the Default skin. So if you need to provide the capability to select multiple skins, go for creating a new skin, otherwise customizing an existing skin should be sufficient. Skin elements Introduction to skin elements and concepts. Stylesheets loading priority Description of the loading strategy of stylesheets in web pages. Customizing existing skins How to customize existing skins. Creating a new skin How to create a new skin, to select a default skin. Skin best practices A list of best practices in skin development. Customizing layout All details to customize layout of a site, a page and the shared layout. By following this section, you are able to customize the eXo Platform look and feel effectively. eXo Platform provides support for skinning the entire User Interface (UI) of a site, including your own portlets. Skins are designed to help you pack and reuse common graphic resources. The complete skinning of eXo Platform can be decomposed into three main parts: site skin, portlet windows and portlet skin. The portal skin contains styles for the HTML tags (for example, div, th, td) and the portal UI (including the toolbar). This should include all UI components, except for window decorators and portlet specific styles. The portlet skins affect how portlets are rendered on the page. The portlet skins can be affected in two main ways described in the following sections. Portlet Specification CSS Classes: The portlet specification defines a set of CSS classes that should be available to portlets. eXo Platform provides these classes as a part of the portal skin. This enables each portal skin to define its own look and feel for these default values. 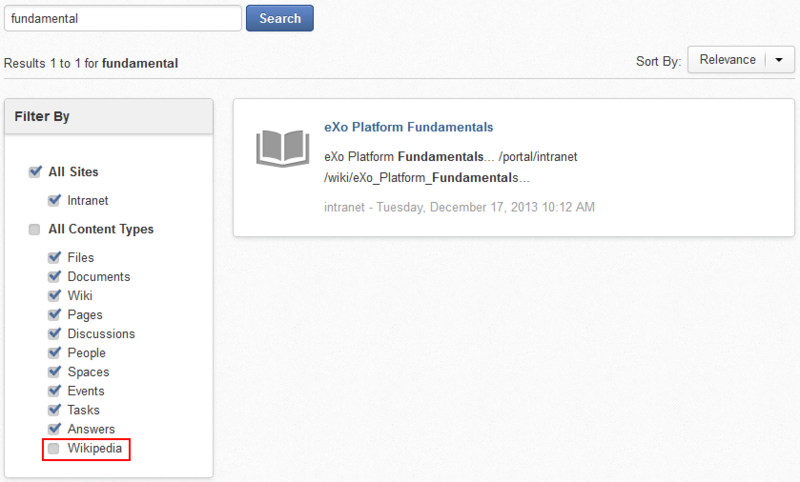 eXo Platform provides a means for portlet CSS files to be loaded that is based on the current portal skin. This enables a portlet to provide different CSS styles to better match the current site’s look and feel. The CSS styles are associated with the portlet window decorators. The window decorators contain control buttons and borders surrounding each portlet. Individual portlets can have their own window decorators selected, or be rendered without one. components, but they need to be included as a part of the overall portal skin. The portal skin must include CSS classes of these components or they will not be displayed correctly. A portlet skin does not need to be included as a part of the portal skin and can be included within the portlets web application. See Skins in page markups for more information. This new style definition changes the background color to red and defines the font size to 1.2em. Inside each category, stylesheets are loaded following an order defined by the attribute css-priority for Portal and Portlet skin elements and the field Priority for ECMS site stylesheets. The stylesheets with lower priority value are loaded first. Existing skins can be customized by adding new CSS files or by changing the favicon. eXo Platform allows to inject new CSS files by configuration, by declaring them in a file WEB-INF/gatein-resources.xml in an extension webapp. <skin-name> is the identifier of the skin. <skin-module> is the identifier of the skin element. It must be an unique name. <css-path> is the path to the CSS file in the webapp which defines the style of the site. <css-priority> is the loading priority amongst portal stylesheets. Lower values are loaded first. This property is optional. <overwrite> is the property that defines if the portlet skin overwrites or not another skin which has the same name, if it exists. This property is optional. Defaults to false. Once deployed, the CSS file /skin/my-style.css will be loaded in all the pages of the sites which use the Default skin. CSS files will be loaded as link tags in the head section of the web page, following a defined Loading strategy, so before the portlets CSS files. A sample Maven project is available here as a working example to customize a skin. <application-name> is the context name of web application that contains the portlet declared in <portlet-name>. <portlet-name> is the identifier of the portlet. <skin-name> is the identifier of the skin. The portlet skin element is only loaded when the given skin is selected for the site. <css-path> is the path to the CSS file in the webapp which defines the stylesheets of the portlet. <css-priority> is loading priority amongst portlets stylesheets. Lower values are loaded first. This property is optional. This example tells eXo Platform to load the CSS file /skin/WhoIsOnLinPortlet/my-portlet-style.css when the portlet WhoIsOnLinPortlet of the webapp homepage-portlets is displayed on the page. As for sites, CSS files will be loaded as link tags in the head section of the web page. The ID attribute of <link> element uses the pattern portletAppName_PortletName. In the above example, the ID of the link is “homepage-portlets_WhoIsOnLinPortlet”. The portlet can be any native eXo Platform portlet or any custom portlet. The full schema for gatein-resources.xml files can be found at https://www.exoplatform.com/xml/ns/gatein_resources_1_4.xsd. The Enterprise Skin (available only in Enterprise Edition) has been done as a new skin, using the customStyle.less file. It means that its CSS style is loaded as a portal skin custom module, so after all the others type of stylesheets, as described in the CSS priority chapter. In order to customizing styles defined in the Enterprise Skin, a portal skin custom module must be used, with a higher priority. Each portlet can be represented by a unique icon that you can see in the portlet registry or page editor. This icon can be changed by adding an image to the directory of the portlet webapplication: skin/DefaultSkin/portletIcons/. To use the icon correctly, it must be named after the portlet. For example, the icon for the Hello portlet named HelloPortlet is located at: skin/DefaultSkin/portletIcons/HelloPortlet.png. You must use skin/DefaultSkin/portletIcons/ for the directory to store the portlet icon regardless of which skin is going to be used. The eXo Platform Favicon is packaged in platform-extension webapp: platform-extension.war!/favicon.ico. You can override it by packaging it at the root of your extension, for example custom-extension.war!/favicon.ico. Note that the icon should be 16x16 pixels to be well displayed. For a quick test you can download an icon somewhere, like the Google favicon available at http://google.co.uk/favicon.ico. Resize it to 16x16 and pack it in the extension. eXo Platform allows to create new skins. New skins are based on the Default skin. The difference between creating a new skin compared to customizing an existing skin is that the new skin is available besides the Default skin, so a site can use the new skin while another site still use the Default skin. Create a Maven project from the available sample. 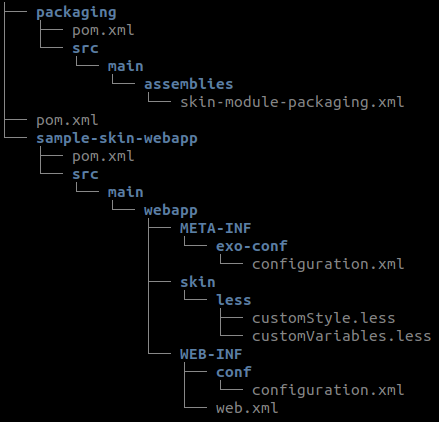 sample-skin-webapp/src/main/webapp/META-INF/exo-conf/configuration.xml, the extension activation file. The extension name must be adapted. sample-skin-webapp/src/main/webapp/WEB-INF/web.xml. The extension name (display-name) must be adapted. 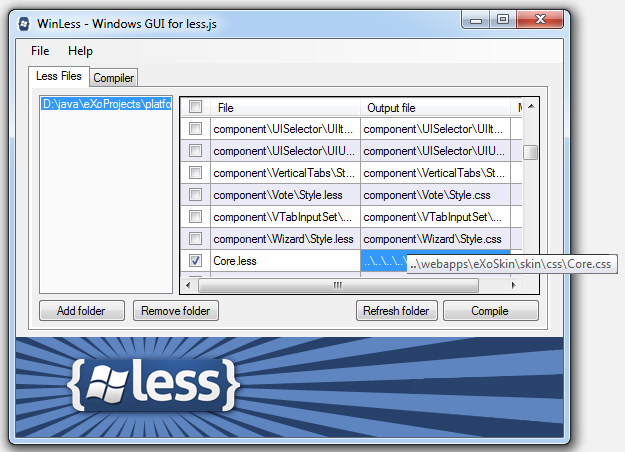 sample-skin-webapp/src/main/webapp/skin/less/customVariables.less, the file to override style variables (see below). sample-skin-webapp/src/main/webapp/skin/less/customStyle.less, the file to define new style (see below). sample-skin-webapp/pom.xml, the build file. The groupId, artifactId, version, exo.skin.name and exo.skin.display.name must be adapted. eXo Platform defines a set of style variables which allow to change the default style globally. The complete list is available here. If you want to modify style variables, change the value of any available variable in the file src/main/webapp/skin/less/customVariables.less. @baseColor: #ffffff; // text color , border color, and other UI elements.. This is a Less file, so you can use all the power of Less syntax. Apply the new skin to your site. i. 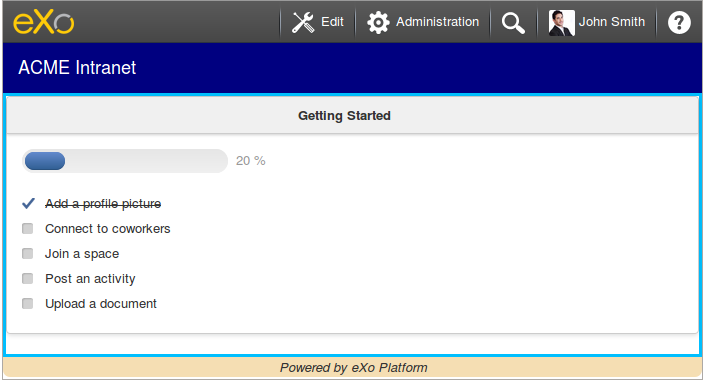 Start eXo Platform package, and log in with the administrator account. ii. 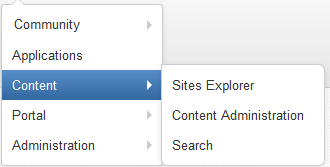 Go to Administration Portal Sites, then click Edit Site Configuration next to one site, for example, Intranet site. iii. In the Skin drop-down list, select the new skin and click Save. Refresh the page and enjoy the new skin. This section describes all the variables that can be changed in src/main/webapp/skin/less/customVariables.less when creating a new skin. There are 4 main color variables. These are used to define color for majority of component. @baseColor #000000 Color of text, border, and other UI elements. @baseBackground #ffffff Color of background displaying content. @primaryColor #2f5e92 Color of primary buttons and links. @primaryBackground #f0f0f0 Color of main background, for example, of header popup and tab items. @baseColorDark lighten(@baseColor , 20%) (#333333) lighten(@baseColor , 60%); Default color of title, text, text input, and label. @baseColorMedium lighten(@baseColor , 50%) (#808080) lighten(@baseColor , 50%) Text color of navigation links when being selected. @baseColorLight lighten(@baseColor , 60%) (#999999) darken(@baseColor, 20%) Default color of small text, subtitle, and text field explanation. @borderColor lighten(@baseColor , 80%) (#cccccc) darken(@baseColor, 20%) Default border color of box, container, and text input. @primaryBackground Hover darken(@primaryBac kground, 4%) darken(@primaryBac kground, 3%) Background color of table row, disabled input field, ready-only form, gray tab in a page when being hovered. @primaryBackground Light lighten(@primaryBa ckground, 3%) lighten(@primaryBa ckground, 4%) Background color of table accent, hr line, well, and active pagination. @revealBackgroundH over lighten(@baseColor , 98%) darken(@baseColor, 98%) Background color of reveal component hover status. @revealBackgroundS elected lighten(spin(@prim aryColor, -10%), 52%) darken(spin(@prima ryColor, -10%), 52%) Background color of reveal component selected status. @primaryDarkColor darken(@primaryCol or, 10.5%) (#224469) darken(@primaryCol or, 18.5%) (#578dc9) Border color of primary button, and left navigation. @primaryLightColor lighten(@primaryCo lor, 18.5%) (#578dc9) lighten(@primaryCo lor, 10.5%) (#224469) Background color of primary button, and dropdown when being hovered. @btnBackground @baseBackground @primaryBackground Background color of default button. @btnBackgroundHigh light @primaryBackground @baseBackground Background color of highlight button. @dropdownArrowRigh t darken(@baseBackgr ound, 20%) (#aac5e3) lighten(@baseBackg round, 90%) Background color of arrow on the right of dropdown. @quotePrimaryBackg round lighten(@quotePrim aryBorder, 18%) (#aac5e3) darken(@primaryCol or, 10%) (#aac5e3) Background color of primary quote. For each component, some own variables are defined. They may be new values, or be inherited from base variables. To modify these components, change value of these ones, or change the variables inherited (be careful if it impacts the others). @colorIconDefault #999999 Default color of action icons and action lists having dark grey labels. @colorIconExtra #626262 Default color of action icons having light or medium grey labels. @colorIconPrimary @primaryColor Color of icons for hovered/pressed/selected effect on light or dark grey icons. @colorIconSecondary #ffffff Hover icon in dropdown menu, icons in primary button or black/grey bar. @sizeIcon24x24 22px Size of medium icons. @sizeIcon12x12 10px Size of mini icons. @sizeIcon64x64 60px Size of extra-large icons. @sizeIcon32x32 30px Size of large icons. @sizeIconDefault 14px Size of default icons. @font-path “/eXoSkin/skin/fonts” Path to the icon fonts folder. @plfNavigationTitleColor @primaryColor Color of left navigation’s heading. @plfNavigationBgBorderLe ft @primaryLightColor Color of left border of the selected item in the left navigation. @plfNavigationBorderLeft @primaryDarkColor Border color of left border of the selected item in the left navigation. @plfNavigationColor @baseColorMedium Text color of items in the left navigation. @plfNavigationBgSelected @baseBackground Background color of the selected item of the left navigation. @plfNavigationBorderSele cted @borderColor Color of top and bottom borders of the selected item in the left navigation. @plfNavigationColorSelec ted @baseColorMedium Text color of the selected item in the left navigation. @plfNavigationColorHover @linkColorHover Text color of the hovered item in the left navigation. @breadcrumbColor @baseColorDark Color of breadcrumb text. @breadcrumbHoverColor @primaryColor Color of breadcrumb text when being hovered. @breadcrumbActiveColor @textLightColor Color of breadcrumb text when being selected. @btnColor @baseColorDark Text color of default button. Gradient (@btnBackground, @btnBackgroundHighligh t) Gradient (@baseBackground,@primaryBa ckground) Background color of default button (gradient background). @btnBorder @borderColor Border color of default button. Gradient (@btnPrimaryBackground, @btnPrimaryBackgroundHigh light) Gradient (@primaryLightColor, @primaryColor) Background color of primary button (gradient background). @btnBorder @btnPrimaryBorder Border color of primary button. @btnColor @btnPrimaryColor Text color of primary button. @calComponentDayTodayBackgrou nd @primaryBackgrou nd Background color of today. @calComponentCurrentWeekBorde r @borderColor Border color of current week. @calComponentDaySelectedColor @baseBackground Text color of selected day. @calComponentTimeInputBoxBack ground @primaryBackgrou nd Background color of input value. 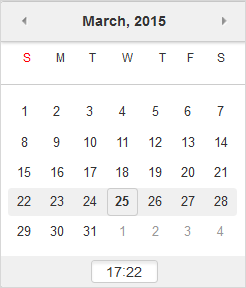 @calComponentDaySelectedBackg round @primaryColor Background color of selected day. @dropdownBackground @baseBackground Background color of dropdown. @dropdownLinkBackgroundHov er @primaryLightColor Background color of hovered item. @dropdownBorder @borderColor Border color of dropdown. @inputBackground @baseBackground Background color of input field, text area and select box. @inputBorder @borderColor Border color of input field, text area and select box. @inputColor @baseColorDark Text color of input field and text area. @inputFocusBorder lighten(@infoColor, 30%) Border color of hovered item. @inputFocusColor @inputColor Text color of hovered item. @inputDisabledBackgroun d @primaryBackgroundHov er Background color of disabled item. @inputDisableColor @textLightColor Text color of disabled item. @formReadOnyBackground @primaryBackgroundHov er Background color of read-only item. @formReadOnyColor @baseColorDark Text color of read-only item. @paginationBackground @baseBackground Background color of paginator. @paginationBorder @borderColor Border color of paginator. @paginationActiveBackgr ound @primaryBackgroundL ight Background color of selected item in the paginator. @popoverBackground @baseBackground Background color of popover. @popoverArrowColor @popoverBackground Background color of popover arrow. @uiPopupBackground @baseBackground Background color of popup. @uiPopupBorder @borderColor Border color of popup. @uiPopupHeaderBackground @primaryBackground Background color of popup header. @header-popup-bg #484848 Background header of popup. @header-popup-title #c1c1c1; Text color of header popup. @tableBackground transparent Background color of table. @tableBorder @borderColor Border color of table. @tableBackgroundHover @primaryBackgroundHover Background color of hovered row. @tableBackgroundAccent @primaryBackgroundLight Background of accent table. @tabNormalLinkBackground @primaryBackground Background color of tab item. @tabNormalActiveLinkBackg round @baseBackground Background color of selected tab item. @tabNormalLinkBorder @borderColor Border color of tab item. @tabNormalLinkColor @textColor Text color of tab item. @tabNormalContentBackgrou nd @baseBackground Background color of tab content. @labelBackground @baseColorLight Background color of label. @labelHoverBackground @primaryLightColor Background color of selected label. @labelColor @baseBackground Text color of label. @primaryBackground Background color of default badget. @textColor Text color of default badget. @primaryColor Background color of primary badget. @baseBackground Text color of primary badget. @baseBackground Background color of white badget. @textColor Text color of white badget. @tooltipBackground lighten(@black, 29%) Background color of tooltip. @tooltipArrowColor @tooltipBackground Background color of tooltip background. PSD folder contains all psd files. If user wants to customize some icons (for example, color), he/she can change these files. system folder contains icons, backgrounds, and images that are commonly used in all applications. themes folder contains some themes of PRODUCT. The default theme is named “default”. The others are themes that you can customize basing on the PSDs. You can also build your own theme by changing the PSD files. 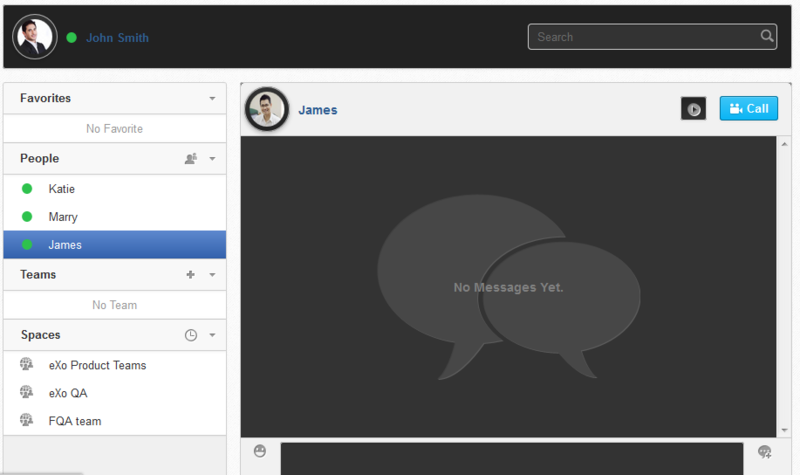 Directly inline, via the UI of eXo Platform. See the Editing configurations section for more details. In your extension <PLFDevGuide.eXoAdd-ons.PortalExtension> , via the XML configuration file as below. The default skin can be set in the portal configuration files. The skin configured as default is used by eXo Platform as the administrator starts/restarts the server. To change the default skin of a site, for example Intranet, simply add a skin tag to the custom-extension.war!/WEB-INF/myintranet-conf/portal/intranet/portal.xml file. How to develop a skin add-on that is compliant with eXo skin? When developing a skin add-on, you may use some of your own components. Using your style is good. However, when you apply the new skin add-on, its theme would not be compatible with the eXo Platform one that is bad. See the below example - dark theme of the new skin add-on is already applied for all, but not applied for the Chat window of eXo Platform. It is simple. Reuse the eXo Platform UX component instead of your own UX add-on component. As a result, the theme of Chat add-on will be changed to the new style of your skin add-on. To get the eXo Platform UX component, see http://exoplatform.github.io/ux-guidelines/Components.html. How to develop an add-on compliant with eXo skin (login page for instance)? How to develop a gadget compliant with eXo skin? Which tools are recommended for converting .less to .css files? 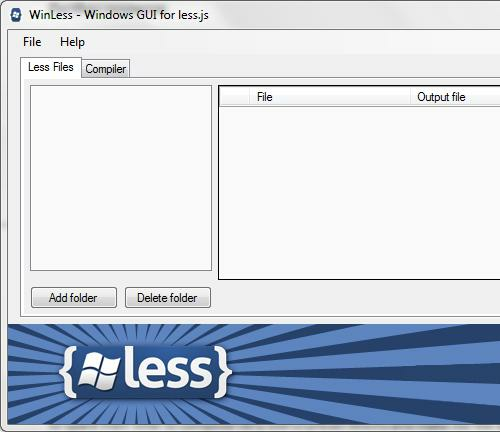 For developers using Windows, WinLess is an ideal tool. This converts LESS code into static CSS automatically as you save the file and shows reports if any error in the code. Using WinLess, you do not need to rebuild the whole Web UI component packages. You just need to choose output for .css file one time, then modify the .less file and save it. As the result, you will see your changes once refreshing your browser. Download WinLess and install it. To be compatible with the Less version used in eXo Platform 4.2, the WinLess version should be 1.8.0. Automatically compile files when saved. Show message on successful compile. Remember to untick the checkbox: Automatically check for less.js updates. Click Add folder and locate the directory where you put your .less files. WinLess will scan and find all .less files and show them on the list. 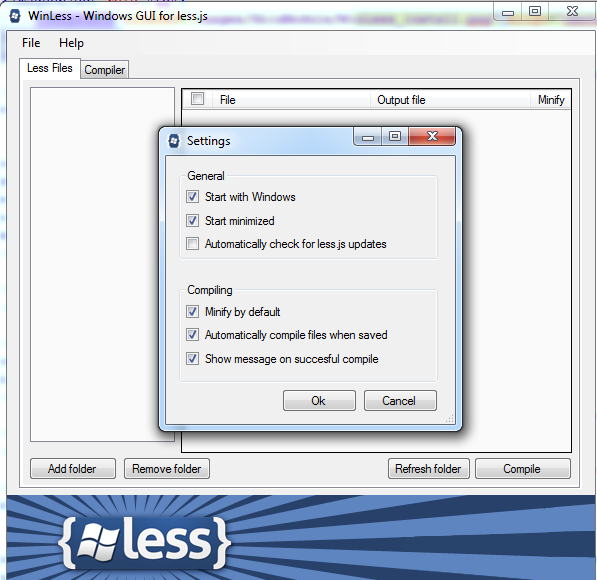 Uncheck all files using the top checkbox. Check the files you modify, or the file importing them. For example, if you want to modify something in variables.less that is imported in Core.less, you only need to check Core.less. Set the output in case you want to save it elsewhere. Change the output directory. For the Core.less file, its output directory is $PLATFORM_TOMCAT_HOME/webapps/eXoSkin/skin/css/core.css. Open variables.less and make a few changes, then save it. The WinLESS will notify you when the file has been successfully compiled into .css or if any error in the code. By using this way, you can check the .css output directly, without waiting for the code to complete its compilation. Refresh the web browsers to see your changes. If you are using MAC or Linux, you can use Koala. Here is the list of .less files corresponding to the compiled .css files in eXo Platform. Skins define the color scheme and other appearance aspects of the layout, such as graphics, fonts, or font size. Thus, the way you customize your site layout will require you to impact your skin’s CSS code. In this section, instructions are related to the configuration, for example you can see a sample of Intranet site here. You can leave all the portlet’s preferences as blank, that means the default value will be taken and you do not need to care about it at this time. As an example, here are steps to alter the layout of Intranet site by moving the MY SPACES portlet from left to the right corner. Register a NewPortalConfigListener into UserPortalConfigService under the custom-extension.war!/WEB-INF/conf/myintranet-conf/my-portal-configuration.xml file. Create portal.xml to override configuration of the Intranet site under custom-extension.war!/WEB-INF/myintranet-conf/portal/intranet. So, in the table element (which represents the outer container), there are many td elements, each of which has the class attribute that equals to the id of the corresponding child component plus the “TDContainer” string literal. Register the newly created CSS in the above step for the Default skin which is currently used by the Intranet site under the gatein-resources.xml. Restart the server. 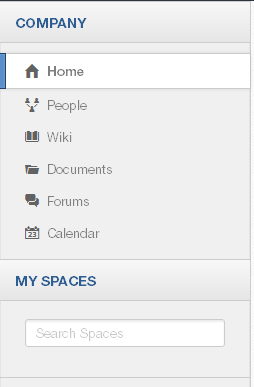 The position of MY SPACE portlet is now rearranged at the top right corner of Intranet site. For customizing the top navigation bar and branding, see Customizing a shared layout. 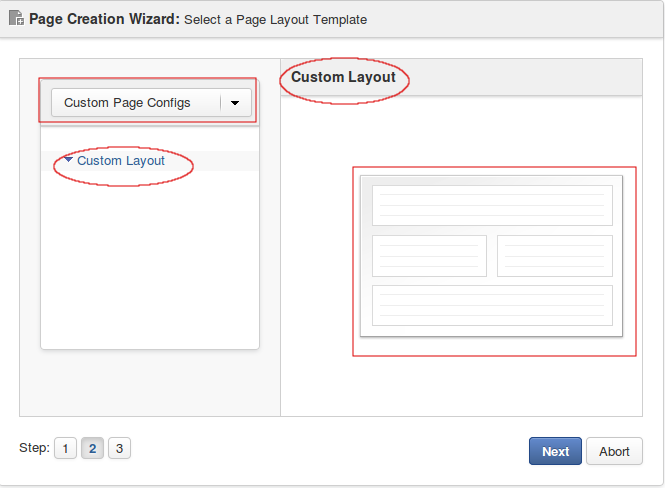 For customizing the right body of a site, see Customizing a page layout. This section is related to the configuration. 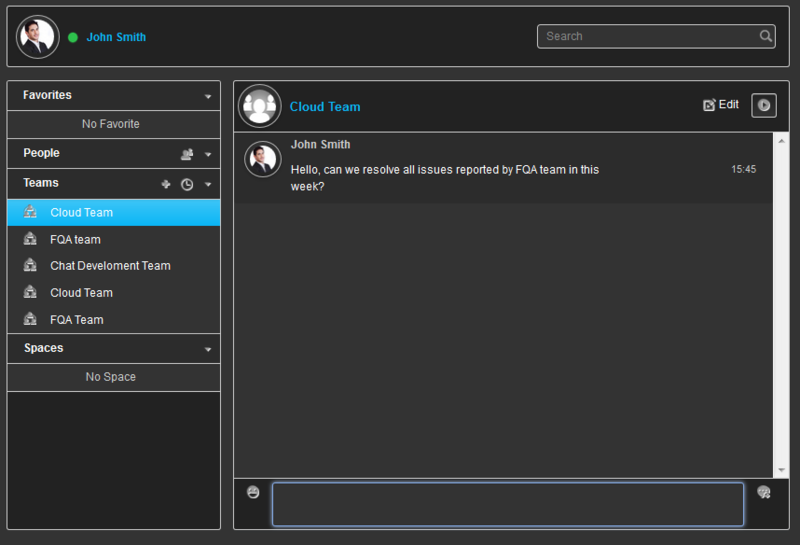 You can see a sample of Intranet here. You can leave all the portlet’s preferences as blank, this means the default value will be taken and you do not need to care about it at this time. Like the site layout, you can easily define the layout for each page in a site easily. As an example, here are steps to alter the homepage layout of Intranet by moving the Getting Started and Calendar portlets from right to the left corner. Follow steps 1 and 2 which are similar when you change the site layout. Create pages.xml to override configuration of the Intranet site under custom-extension.war!/WEB-INF/myintranet-conf/portal/intranet. As you see in the pages.xml file above, the GettingStartedPortlet and HomePageCalendarPortlet are registered in the container with id = “Left” that specifies the new position (left) of Getting Started and Calendar portlets. In eXo Platform, the top navigation bar is a special container which is composed of portlets. All sites share the same top navigation bar that is defined in platform-extension.war!/WEB-INF/conf/portal/portal/sharedlayout.xml. You can see its content here. This sharedlayout.xml file configures portlets which are currently displayed on the top navigation bar. To override the default shared layout, you first need to copy the sharedlayout.xml file from platform-extension.war!/WEB-INF/conf/portal/portal/ and paste into custom-extension.war!/WEB-INF/conf/portal/portal/ directory. Followings are 4 typical examples of the top navigation bar configuration: removing a portlet, adding a new portlet, changing the color scheme and modifying the configuration of a portlet. Remove the following block from custom-extension.war!/WEB-INF/conf/portal/portal/sharedlayout.xml. Deploy your extension and restart the server. The Help portlet ( ) is now removed from the top navigation bar. Add the following block to custom-extension.war!/WEB-INF/conf/portal/portal/sharedlayout.xml. Deploy your extension and restart the server. The SEO portlet will appear on the top navigation bar. Style of background on the top navigation bar, such as color, image, border bottom and height. Color of texts on the top navigation bar. Style of icons displayed on the top navigation bar, such as position, background image, height, width. In eXo Platform, customizing the top navigation bar can be performed in the custom-extension.war!/templates/skin/DefaultStylesheet.css file. As an example, here are steps to change the style of the top navigation bar, including the color of background (from dark to grey), of texts and icons (from white to dark) and split lines (from dark grey to light grey). Add the following stylesheets to the custom-extension.war!/templates/skin/DefaultStylesheet.css file. Deploy your extension and restart the server. The new style of the top navigation bar is displayed below that is different from its default style. Use the :ref:`Branding portlet <BrandingeXoPlatform>`to change the logo and color of the top navigation bar. Creating a global stylesheet for details. Copy the configuration.xml file from platform-component-uxpnavigation-*.jar!/conf/portal/ and paste into custom-extension.war!/WEB-INF/classes/conf/portal/. Modify pairs of name and value attribute as your desire. These pairs define which navigation link is corresponding to which platform context. 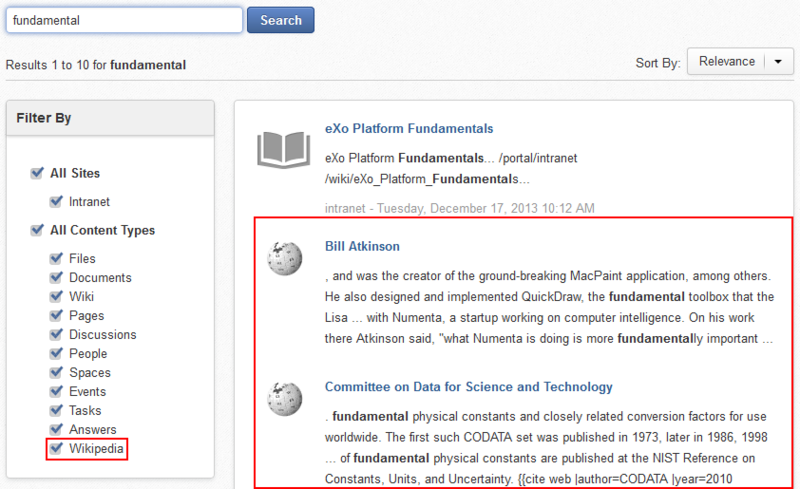 For example, name="Company Context Home" and value="http://www.exoplatform.com/company/en/company/about-us" mean that if users are staying at platform homepage, then clicking on the Help link will redirect them to the address indicated by the value attribute. Deploy your extension and restart the server. Now, when you click on the Help icon, you will be redirected to the corresponding address as shown above. In this section, you will learn how to configure the Upload service that is defined by the org.exoplatform.upload.UploadService class. This code allows uploading files with the default size limit (10MB). The default value unit is in Megabytes. This limitation will be used by default by all applications if no application-specific limit is set. If the value is set to 0, the upload size is unlimited. The default constructor that allows uploading the file with the size of 10 MB. 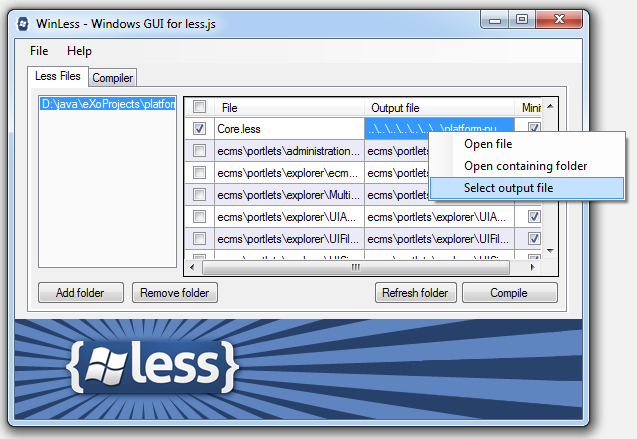 This constructor allows you to customize the size limit of uploaded files by using the limitSize parameter. The default value unit is Megabytes. This constructor allows you to customize the size limit and the value unit by using the limitSize and unit parameters respectively. In eXo Platform, you can set the value unit to Megabytes (MB), Kilobytes (KB) or Gigabytes (GB). The 0 value means the upload size is unlimited, and the value unit is set to MegaBytes. Delete the classes used for the upload. Ensure the file is saved before the service is cleaned.